Flatten the clay into a strip and wrap the around the edge of your box. Make light crisscross cuts all along the clay. Brush the clay with some water on your fingers. Break twigs and push into clay. 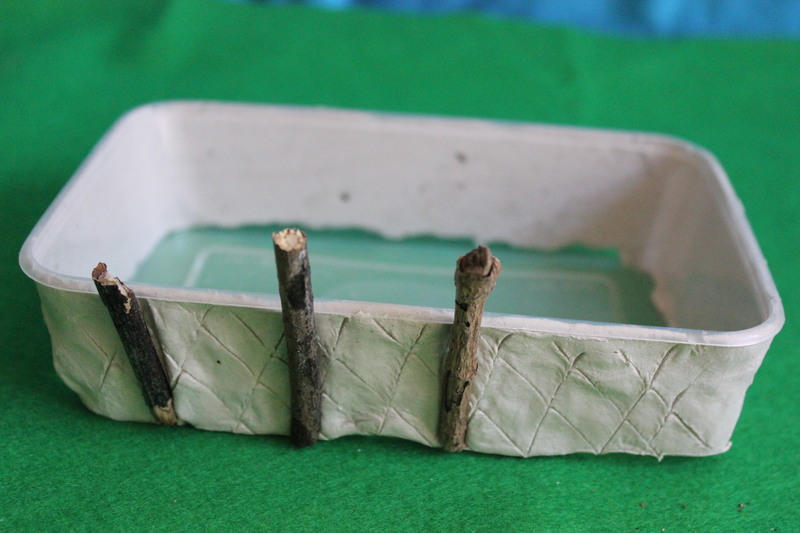 Wrap the clay over the twigs, around the box. 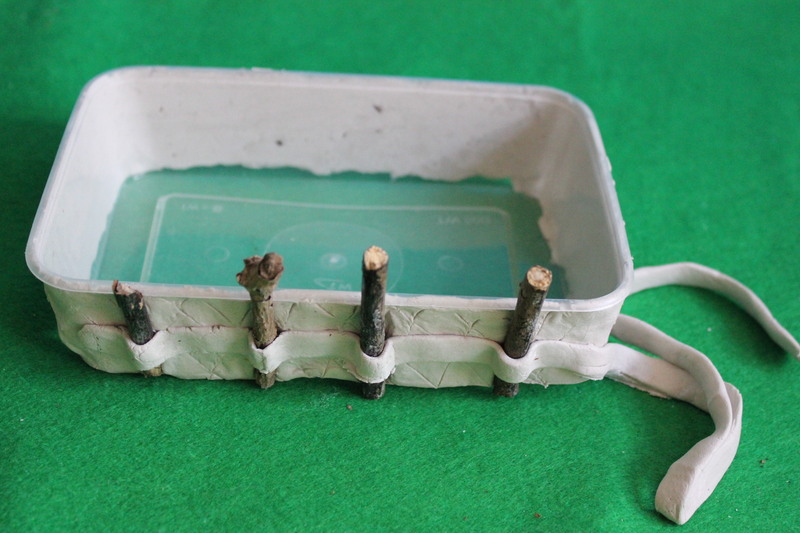 Make sure to press very firmly to make the clay and twigs stick together properly. 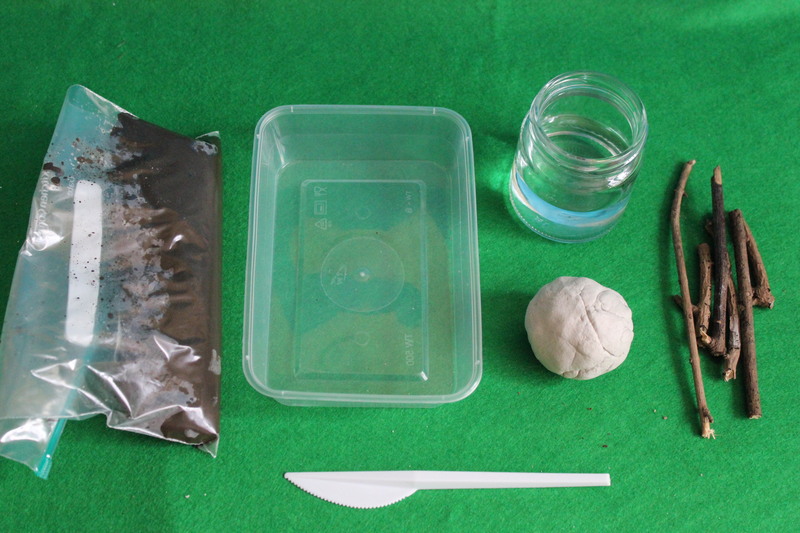 The clay will dry solid within 2 days. 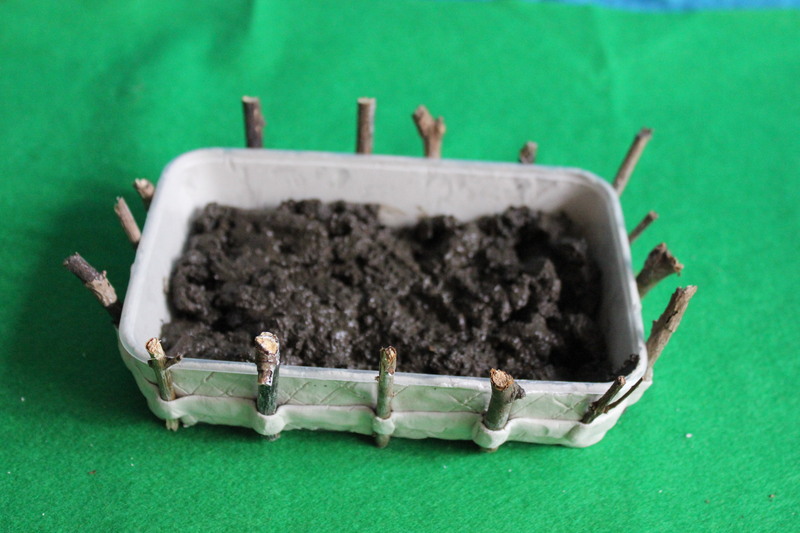 Empty the mud/seed mixture into the box and smooth with the knife. Leave on the windowsill and water when the soil becomes dry. After a few days your cress will begin to sprout.